To create an unlimited number of unique capture pages by simply entering some text and selecting an image. 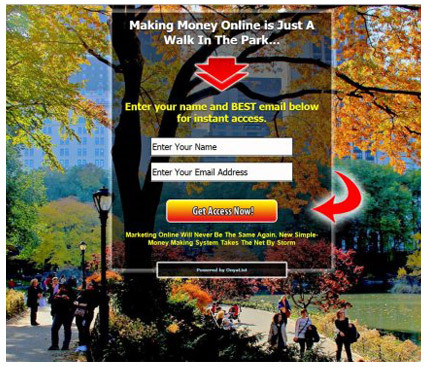 To make money by being able to send people to any website link I wanted to. To capture unlimited leads in both my Onyalist members back office and my autoresponder so I would never lose a lead again. It had to be a completely unique list building systemthat wasn't available anywhere else. "Can you create this system for our customers?" Jane asked. Six months later OnyaList was born and now you can do exactly what I am doing. It's so easy. 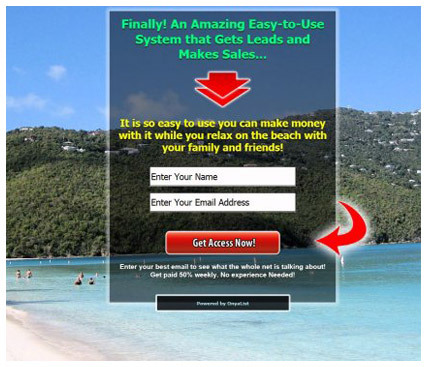 amazing list building and sales system. 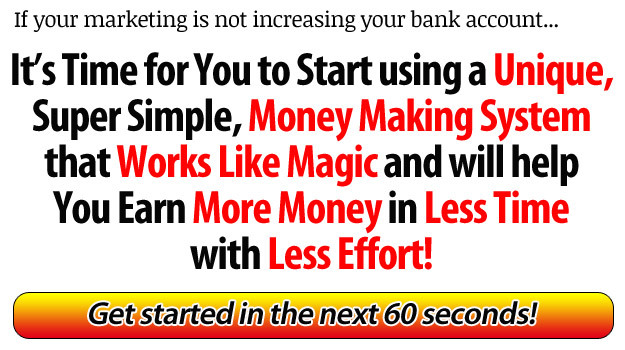 We give you the tools to quickly boost your online income. You get access to the amazing Onyalist lead capture page creator- This is a system so easy to use you will be creating professional lead capture pages in under 60 seconds. These are mobile ready pages and can be viewed on most leading smart phones. You can make money while you build your list - As soon as people sign up to your list you can instantly send them to any website you want. This helps you make money while you build your list. You can promote multiple websites - Use onyalist to promote all your websites and affiliate programs. You get a complete lead capture system - You'll be able to capture leads in your auto-responder and your Onyalist back office so you never lose a lead again. Aweber, GetResponse, GVO, Rocket Responder Listwire, Mail-Chimp, Team Elite Responder and Ebizac. Almost any Auto Repsonder that you use can be added to Onyalist. 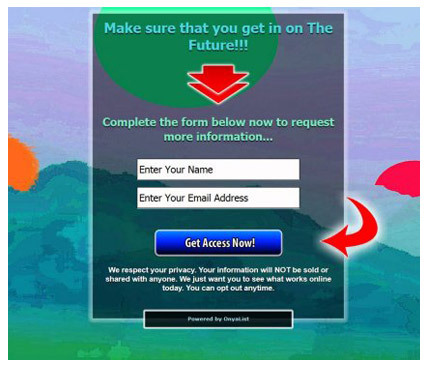 You can completely customize your capture pages - You can enter any message you want on your capture page or you can simply select the titles we provide and edit them. You can make your pages look and feel just the way you want them to. You get exclusive use of our unique background image and action button collection. These images are quite stunning and most of them you won't find elsewhere on the internet. We even show you how to match the background to your message and show you why this is so important. You get search engine friendly capture page links - Onyalist generates a unique link for each capture page you create and these links work much better than affiliate links because search engines love them. You can take these links and promote them anywhere else on the web and put them to work for you. You can track multiple campaigns - Use the same capture page with minor changes at different ad networks and see which one works best. This is great for split testing different traffic sources. You can instantly promote your pages - As soon as you create your lead capture page and sales funnel Onyalist lets you ping 50 top weblog sites automatically so the search engines know where to find your new page. Now this is really cool! You get video training - These tutorials show you how simple it is to use Onyalist. These videos are accessible in the members area, including the demo video below. You can earn commissions every week - to tell others about Onyalist and we pay you every week for sales you make the previous week. No more waiting 30, 45, or 60 days to get paid. You pay one time and you are done. 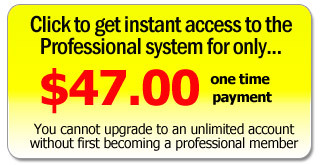 The price for the professional and unlimited member level is a one-time price, but these prices are strictly limited. After the main launch the prices will go up and Onyalist will shift to a monthly recurring model. So make sure you lock-in your one-time paid account today. Click the video below to See how easy Onyalist is to use. This is a very cool system. I want in. There are so many reasons why I love Onyalist. First it truly is for people who (like me) do not know how to create web pages, websites, capture pages....you get the picture. After joining Onyalist I had my first capture up and running in five minutes. People were giving me their names and email address. Within twenty-four hours I had a list of 12 people. Three of those people have joined my business opportunity. I had been purchasing leads after leads and still couldn't get anyone to sign up. Anyone and I mean Anyone can build their business using onyalist you don't have to be tech savvy just watch a five minute video and you will see how easy this system really is. What really makes the capture page so enticing is the background(s) images you can choose to use. Onyalist is unique in many ways. Unique benefit 1 - Ease of use - Onyalist is super easy to use. If you can point, click and type a few words you can use this amazingly simple system. Unique benefit 2 - InstaView - As you create your pages or make changes to them you can instantly see what your page will look like with our unique instaview tool. Unique benefit 3 - Exclusive image collection - 95% of the background images and action button images in our image collection are completely unique to Onyalist. You won't find them elsewhere on the net. 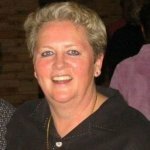 Unique benefit 4 - Instant Promotion - Onyalist lets you instantly promote your newly created pages via an automatic inbuilt ping engine so the search engines can find you. Most sites don't give you the promotion tools. Unique benefit 5 - Free Hosting - You don't need your own website, domain name, blog, hosting account or any experience to use Onyalist. Onyalist will host your pages for you for as long as you remain a member, all at no extra cost. Unique benefit 6 - Any Language - You can create your capture pages using any language you like. Need a page in German, French, Spanish or any other language, just type in in and click save. Unique benefit 7 - Integrated Mailing System - Now you can email your leads direct from within your Onyalist Members area. This magic mailer even has a customizable welcome email. This is ideal for members who do not have or use and autoresponder. 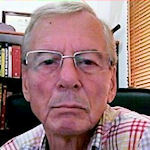 The Onyalist Mailing System is available through the members area for an additional fee. Unique benefit 8 - Stunning Video Backgrounds - Create eye-catching capture pages with our range of 45 plus stunning video backgrounds . The Onyalist Video background tool is available through the members area for an additional fee.Click to see this in action. Wow! I'm really excited about this! It's the one of the most unique list building and sales systems online that I've ever seen before. Jane and Phil, I didn't think you could get much better than Sokule. But really, making it possible for people to earn big money with one of the best list building systems I have seen, I love it. I constantly tell people that you must own and control your own lists. You have made it so easy to do that now. Professional capture pages, sales funnels, lead capture, I can't wait to see what else is coming. I will tell all my members about this and the really cool part is I don't have to create the system for them. I can just send them to you. I can't tell you how thrilled I am to have this. I bought optimize press and never taught myself to use it. You never cease to amaze me. Thank you, thank you, thank you! We will definitely put this to good use. I just made the funniest one for Ken... jackass marketing. The Internet is where everybody does business. I don’t care what you have to offer, if you don’t have a list, for all intents and purposes you are out of business. Small list = small money. Big list = big money. No list = no money. OnyaList is powerful. You can advertise several promotions at the same time and they will all have their own unique OnyaList links. You could pay for advertising, promote someone else's product or service and let them capture the leads. This would give you one shot at making a sale, but you are throwing your money down the drain. Or you could Send your leads to your own capture page, get 'em Onyalist and then you'll have a number of chances to build a relationship with your new list members, and even more chances to sell them something. Makes sense when you think about it. Watch for the Whole Enchilada - If you want to create unlimited capture pages, sales funnels and custom pages, and collect unlimited leads, make sure you upgrade to an unlimited account. If you want to add special items like YouTube video's, countdown timer, product image, photo, or logo, Google analytics code to your pages, or instantly post social updates to your Twitter, Facebook or Sokule followers each time you create a page then watch out for the unlimited account upgrade. You will see it right after you purchase an Onyalist Professional Account. * You don't need a hosting account. * You don't need your own domain. * You don't need your own website. * You don't need a wordpress blog. * You don't need any experience at all. 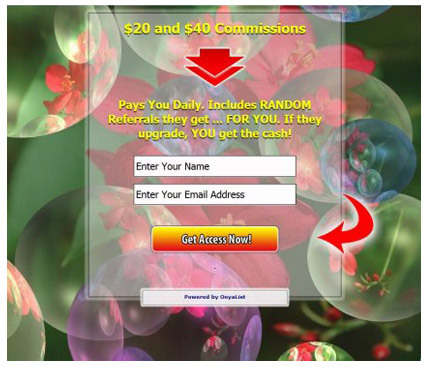 You can simply use our easy online system to promote all your sites. It makes no difference if you are a newcomer to online marketing, an affiliate marketer or you are an experienced business owner. Onyalist will work for you. Like most of us that may be called more seasoned; I suspect that we have a variety of safelists, list builders, traffic sites, autoresponders and even capture page creators, etc. At least in my experience, until OnyList came along, these were fragments found here and there. Some lists other than autoresponders like Aweber and Get Response came without the benefits of an email addresses, etc. Onyalist fills a number of gaps for me. As with most things I do with Jane and company, I took advantage of the unlimited membership approach which offered me unlimited capture pages for the many different programs, blogs, services, I promote. I hate limits, don’t you? 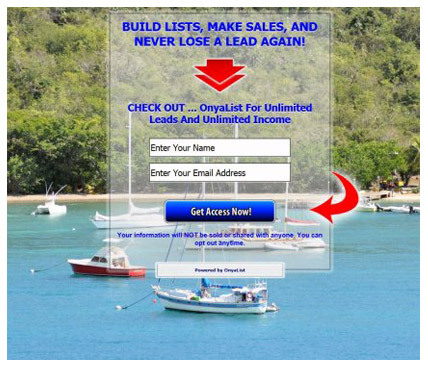 Each page maintains its own exportable leads list all in 1 table. 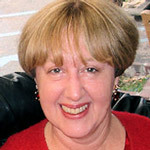 Jane I will add a link to my Handbook as soon as I have made an Onyalist page for it. The minute I saw a presentation of Onyalist I knew this is something I absolutely needed to use to build landing pages. No technical knowledge is required. I use only this now, it is so easy, even a non-techie like me can do it. Thanks Jane & Phil, you really hit the jackpot here, I just love it.